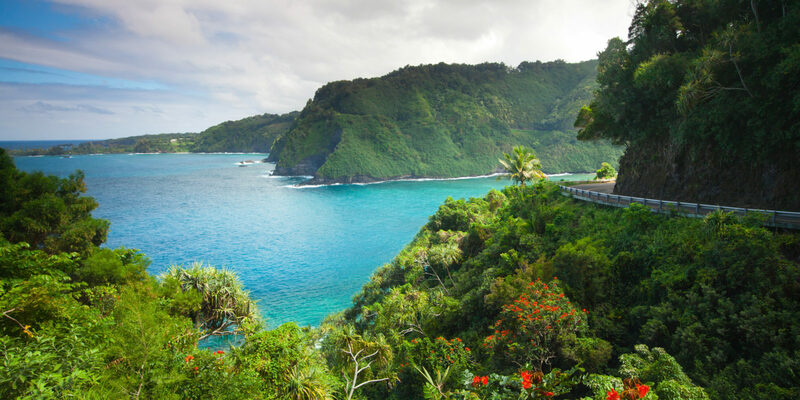 The Road to Hana in Maui is one of the most famous routes in the country. Spanning more than 60 miles along Highway 36, it features plenty of winding curves, one-lane bridges, tight hairpin turns, beautiful waterfalls on rocky cliffs — and a lot of great scenic stops along the way. As a New Yorker who doesn’t love to drive, I was hesitant to undertake the journey. But how often do you have the chance to cross 54 bridges and wind around 600 curves to reach your destination? So with a rental car and a map, I set out to enjoy the best of Hana Highway. 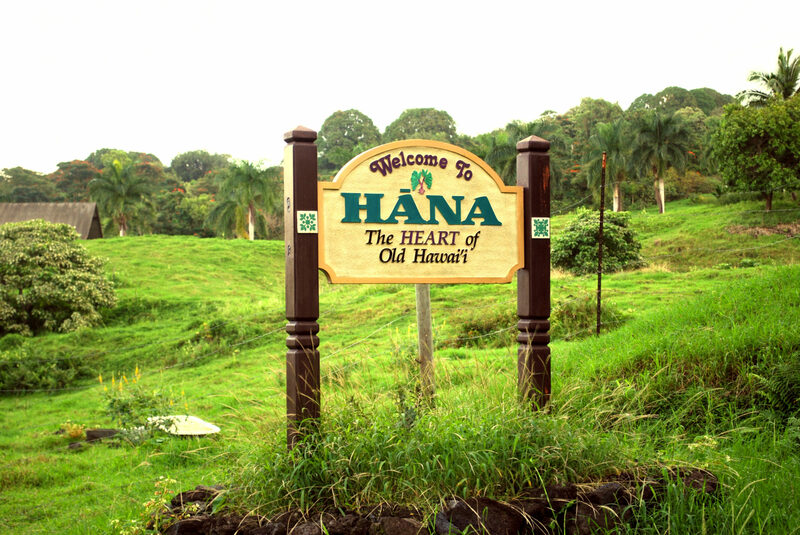 I began my journey at 8 a.m. from Paia, a small town at the start of the Hana Highway. Locals had warned me that traffic builds quickly throughout the day, so I figured that starting early was the best way to keep my patience in check. I grabbed a tasty breakfast — banana bread and coffee at Paia Bay Coffee — and hit the road. Before starting my drive, I downloaded the Road to Hana app to my phone. It explains the background of each stop, history, trivia and local legends at each mile marker, and it’s well worth the price. Even early in the morning, Twin Falls at mile marker 2 was crowded. This is the first waterfall sighting on the drive, so most people stop here to take in the views. Although touristy, the walk to the falls is gorgeous and there is a large area for swimming — a refreshing way to start to the day. Later, at mile marker 10, I spent a good chunk of time at Garden of Eden and Botanical Arboretum. The flora and fauna really impressed me, and I enjoyed the chance to experience and understand Hawaii’s unique biodiversity. Surprisingly, there were few people at this stop, so I took advantage of the lack of crowds and walked around, literally stopping to smell the flowers. 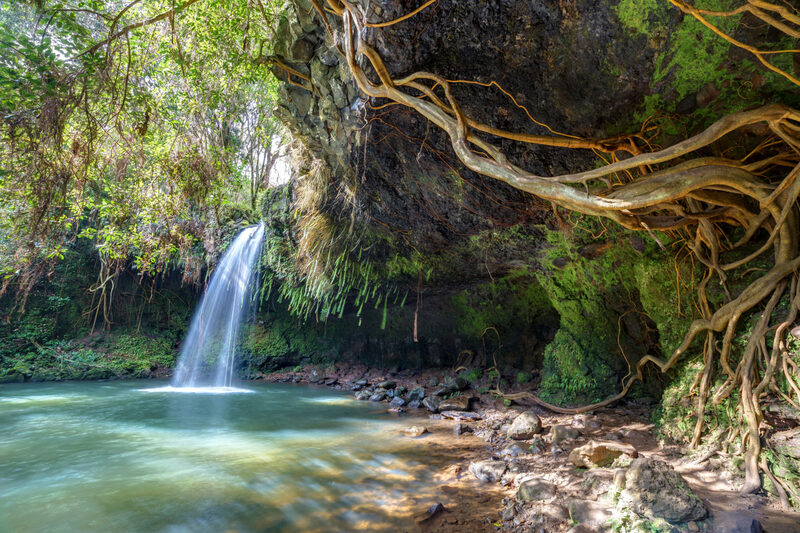 A short distance away at mile marker 11, I visited the Upper and Lower Puohokamoa Falls. The lower falls are definitely more dramatic, with a 130-foot drop, but I actually preferred the modest upper falls (across the road) where there were fewer people. Mile marker 17 brought me to Halfway to Hana Stand, which prepares some of the best banana bread I’ve ever had. They also serve shaved ice, ice cream, coffee and lots of snacks. A local encouraged me to place a pin on the stand’s large map, to show people that I had traveled there from New York. There were pins from all over the world, left by visitors who stopped by to enjoy a tasty snack. After fueling up, I was ready for Waianapanapa State Park at mile marker 32, which was one of my favorite stops. 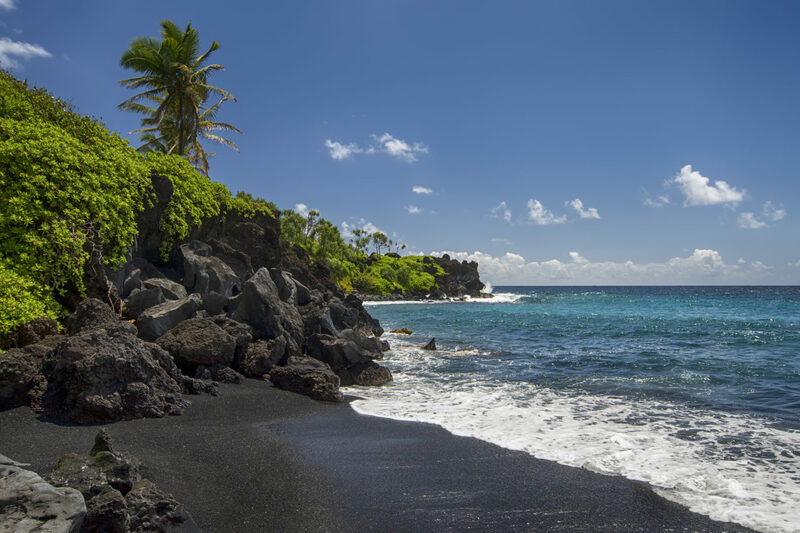 This gorgeous park features a black sand beach, rock arches and sea caves. While I was there, I hiked along the shoreline and enjoyed the amazing views. And although there were other people around, the park was definitely not crowded — I was able to enjoy the peaceful quiet and really take in the sweeping views. From the park, you can also see the remains of the old King’s Highway, the first road built around Maui. The last stop on the Road to Hana is, well, Hana. After the full day of driving and exploring, I treated myself to a little pampering at the Travaasa Hana Spa, which uses organic products and specializes in Hawaiian techniques. The Lomilomi massage is my favorite and uses long strokes to ease away tension. A 90-minute treatment felt perfect after a day traversing Hawaii’s most famous stretch of highway. 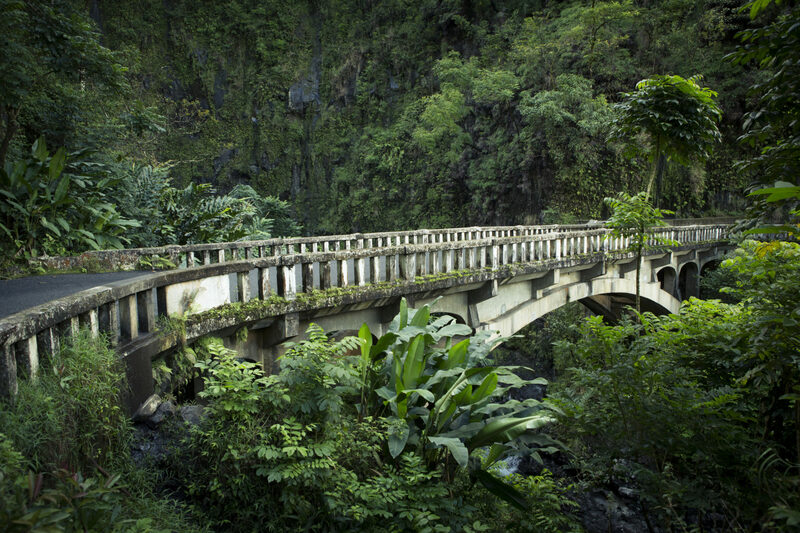 Driving the Hana Highway straight through from start to finish would take about three hours. But if you want to truly enjoy the journey, make it a full or multi-day activity. Whatever you do, however, don’t plan to drive there and back in one day!